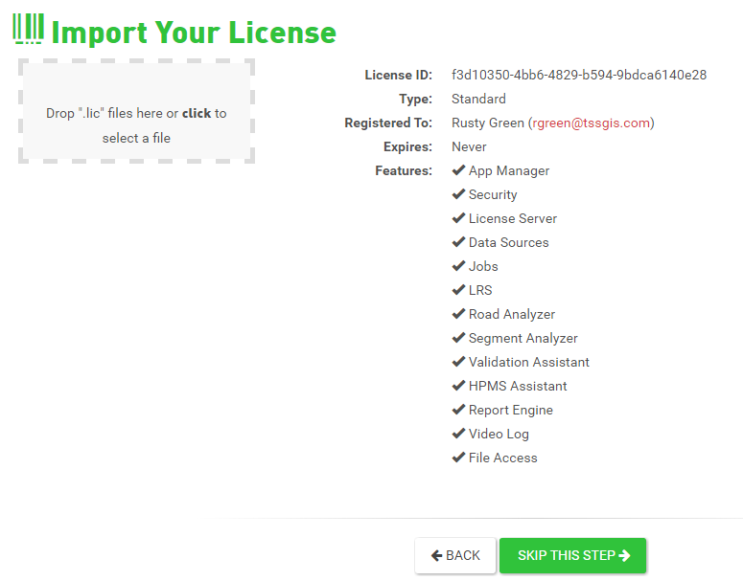 The Licensing feature provides the ability to add your software license details for all your applications using a .LIC file provided to you by Transcend. Drag and drop the ".LIC" file we provided to you into the dashed import box to add your software license information. Once added, you'll be able to see your license ID, license type, who it's registered to, when it expires as well as all the products and features included in your license.